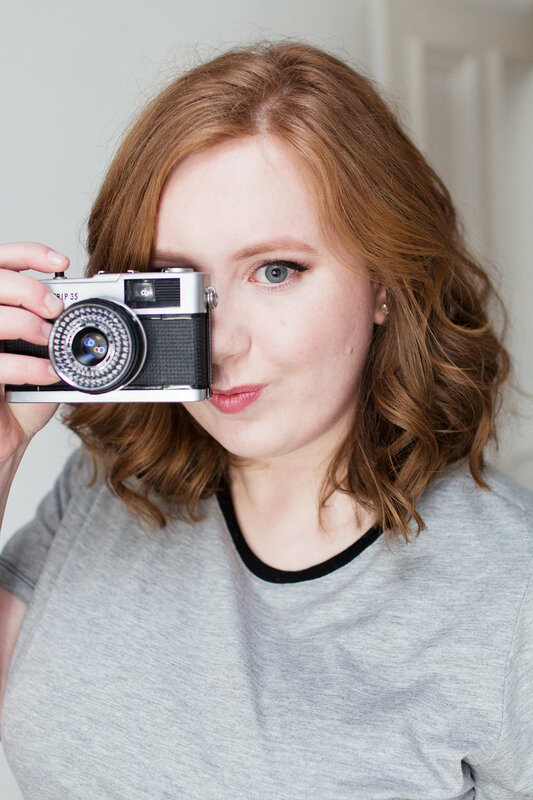 Manfrotto recently invited me to attend their blogger's event in Manchester, so obviously I jumped at the chance. 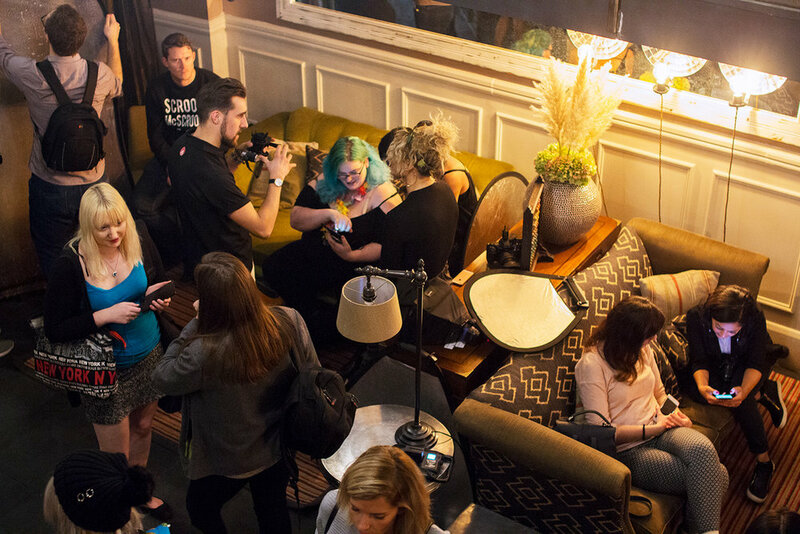 I've been to a few blogging events at this point, but never a photography one - so I was very excited to see what they had in store. I arrived at Great John Street Hotel and was greeted by lots of friendly faces from Manfrotto. They'd set up props and flatlays for their demonstrations, and had camera equipment everywhere, so I immediately felt very inspired. The workshops were designed to show us the products they had on offer, and give us a few tips on how to take better pictures. They talked us through their various tripods and lights with zero technical jargon, and were happy to answer our (many) questions afterwards. It was obvious that the people running the event had put a lot of thought into it. Portable tripods are very handy for bloggers and vloggers. 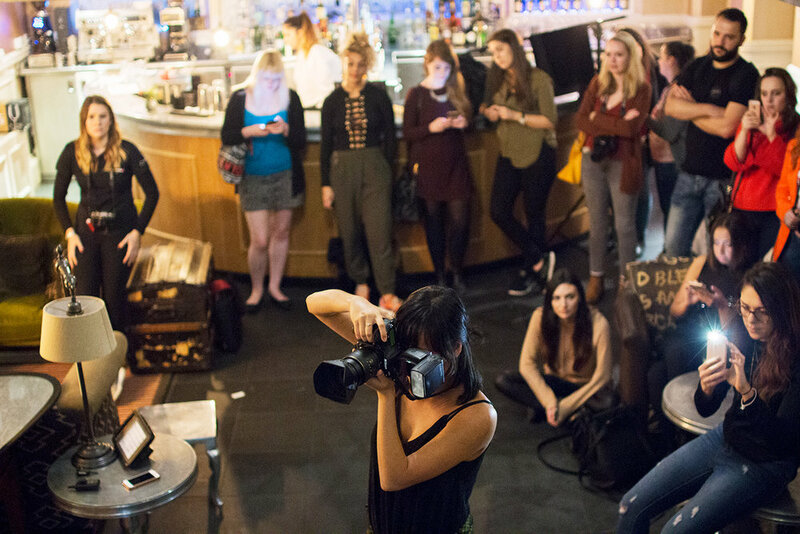 My friend Danielle Levy was using the Manfrotto Pixi Mini Tripod* to stabilise her compact camera while she got video footage of the event. Small tripods like this one are great to take with you when you're on to go, either to keep your camera steady for low-light photography or to help you record video and time lapses. This one is suitable for compact cameras, compact system cameras, and even DSLR's with the kit lens (maximum weight 1kg). People don't just use dedicated cameras for photography anymore - you can get amazing photographs on your phone as well. 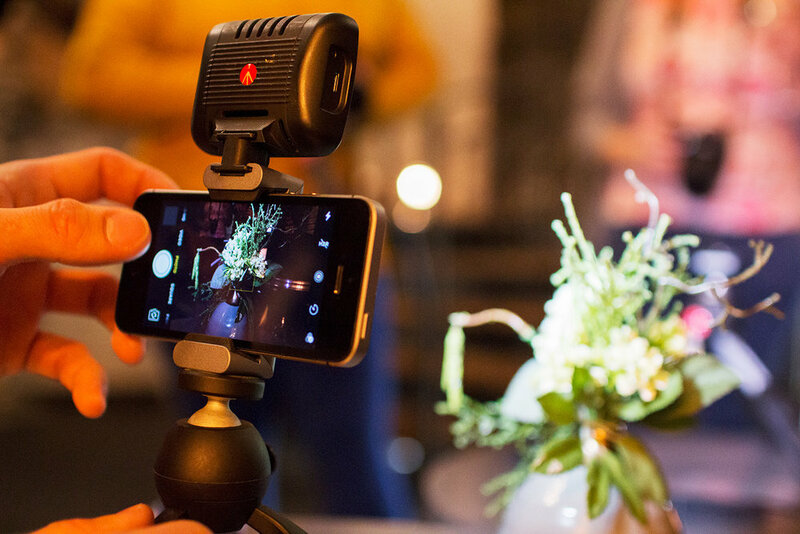 We were shown the Manfrotto Mini Tripod with Universal Smartphone Clamp at the event, and the extendable clamp means it will suit any phone (they demonstrated it with an iPhone, and a massive Samsung Galaxy Note - both were completley fine). This would be a great gift for anyone who uses their phone to record video or even those who want to get some more creative sh0ts for Instagram. 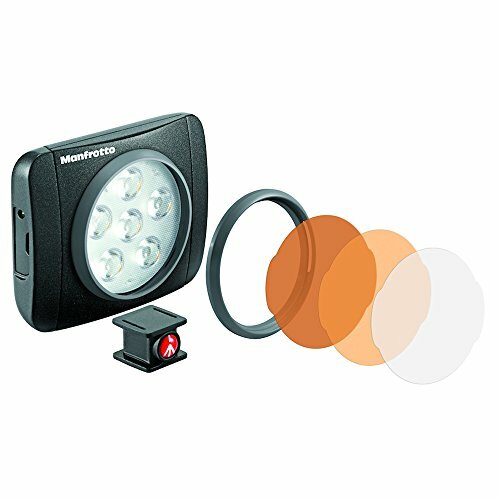 The Manfrotto LED Light with Lumimuse is small but powerful. 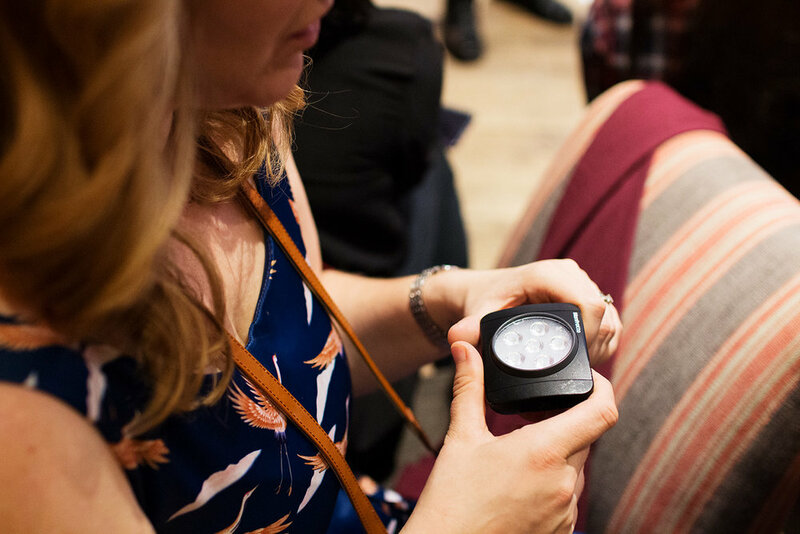 This tiny device can produce light on demand, perfect if you're recording video and want consistent lighting, for food or still life photography, or if you just want something to take with you on the go. It can be used with a standard hot shoe mount (the typical flash connection for DSLR and CSC cameras) but also can be attatched to a tripod... or, of course, you can just hold it in your hand. Love shooting flatlays? 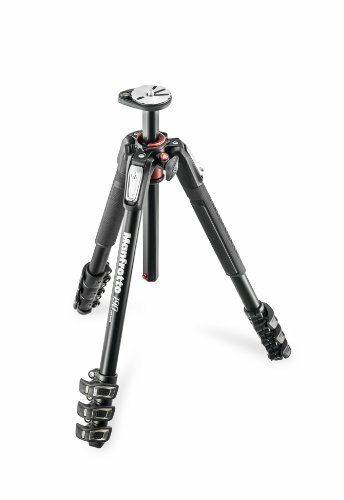 You need the Manfrotto 190XPRO Aluminium 4-Section Tripod in your life. It's a great, lightweight tripod that allows the camera to shoot from above. I'd love to have a tripod like this as it would make filming bullet journal videos ten times easier! Anyone who's ever tried to get a bird's eye view with a regular tripod will tell you how much of a pain it is. 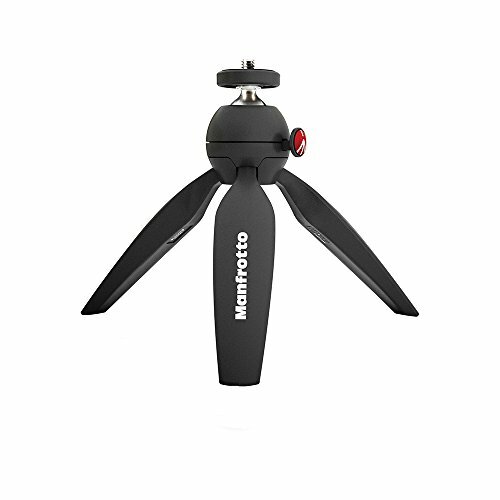 Wherever you are on your photography or videography journey, Manfrotto have you covered. It was so much fun to talk about cameras all day and be in such a creative space - I got loads of ideas at the event and there are quite a few techniques that I'd like to try. 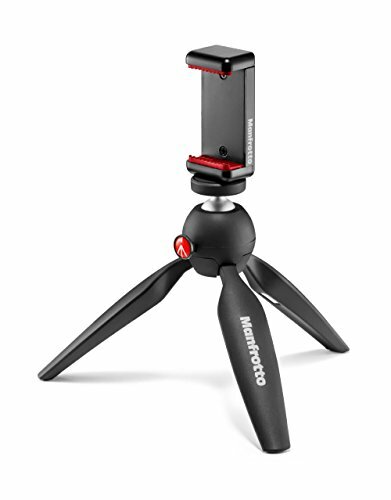 We were all gifted a Manfrotto Pixi Mini Tripod as well, so I can't wait to give it a go. 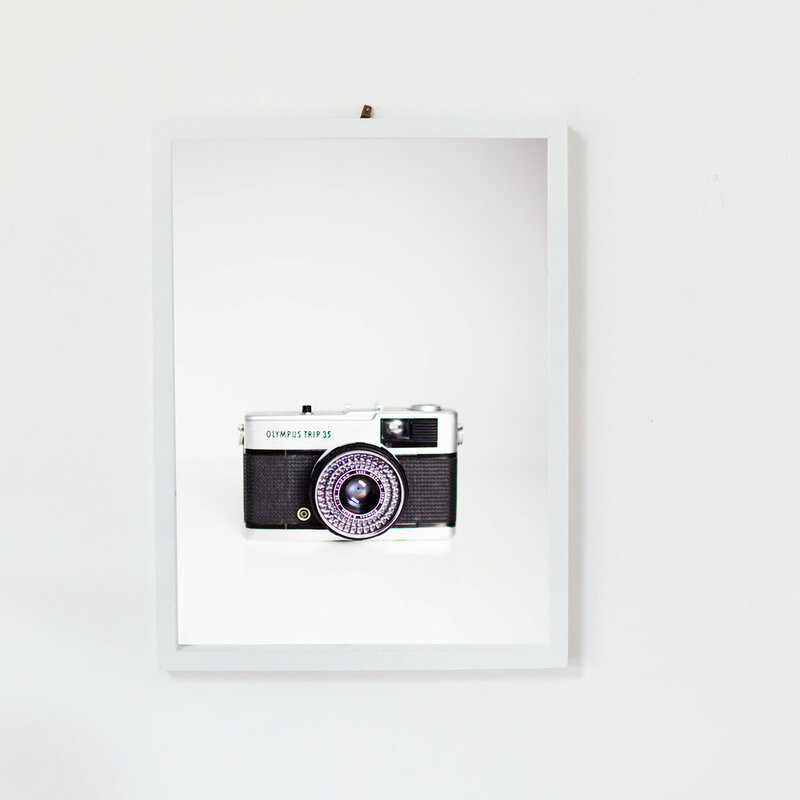 What's on your photography wishlist? Let me know in the comments. *This item was generously gifted by Manfrotto. All opinions expressed are my own.